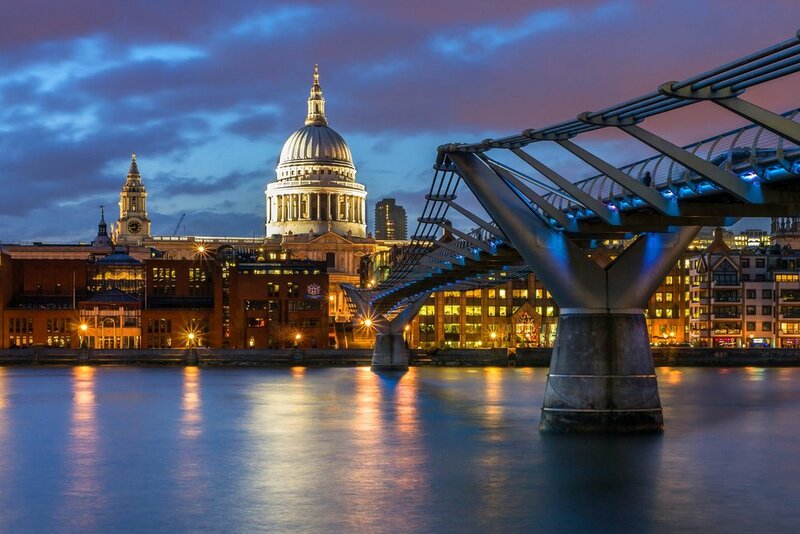 Our bespoke private tour of St Paul's Cathedral takes in the truly magnificent architecture and fascinating history as told by the people who know it best. Guests will be shown parts of the building not open to the public, including the rarely seen model room where Sir Christopher Wren's original model is displayed, the Cathedral's private library and will be finishing the tour by descending the truly extraordinary geometric staircase, a slice of architectural genius made famous by Harry Potter and the Prisoner of Azkaban. And to add a truly magical finale to an unforgettable evening, The Cathedral Choir deliver an intimate private performance beneath the spectacular dome. St Paul’s Cathedral is without doubt one of the world’s most iconic buildings and the architectural jewel in London’s sparkling crown. Sitting proudly atop Ludgate Hill, St Paul’s is the seat of the Bishop of London and the mother church of the Diocese of London. Whilst its dedication to Paul the Apostle dates back to the original church on this site founded in AD 604, the building as we know it today was designed in the English Baroque style by Sir Christopher Wren in the late 17th century. Completed within Wren's lifetime, it was part of a major urban rebuilding programme following the Great Fire of London. The Cathedral is one of the most famous and easily recognisable sights in London, with its dome, framed by the spires of Wren's City churches, dominating the skyline for over 300 years. At 365 feet (111 m) high, it was the tallest building in London from 1710 to 1962, and its dome is also among the highest in the world. In terms of area, St Paul's is the second largest church building in the UK, surpassed only by Liverpool Cathedral.